Juniper berries add an irresistible accent to this classic roast. Find them in your grocer’s spice rack or in speciality gourmet shops. To prepare the prime rib: In a small bowl combine ground coffee, salt, and pepper. Rub mixture on beef roast, pressing into the surface. Brush lightly with oil. Place roast in centre of cooking grate. Grill 2-1/4 to 2-3/4 hours for rare (140°F/60°C), 2-1/2 to 3 hours for medium (160° F/71° C). Remove from grill and let roast rest 10 minutes before carving. Make cream sauce in last half-hour of roast cooking time. To make the cream sauce: In a medium saucepan melt butter. Add mushrooms and shallots; cook over medium heat 5 minutes or until tender. Add gravy, wine, and juniper berry sachet. Simmer over medium heat until liquid is reduced by half. Season with salt and pepper to taste. Meanwhile, in a small mixing bowl, with mixer at medium speed, beat heavy cream until stiff peaks form. Strain reduced sauce; return to saucepan. Stir in red currant jelly and cook over low heat until jelly is dissolved. Stir in gin. Remove from heat. Gently fold in whipped cream. Add salt and pepper to taste. To serve, place a little cream sauce on a plate; top with a slice of beef roast. Wrap a tender beef roast in garlic, rosemary, and pink peppercorns and you’ve got a dinner party. Hint: You can roast the garlic a day or two ahead of time while you are grilling something else. To make the paste: Remove the loose, papery outer skin from the head of garlic. Cut about 1/2 inch off the top to expose the cloves. Place the garlic head on an 8-inch square of aluminium foil and drizzle 1 teaspoon of the olive oil over the cloves. Fold up the foil sides and seal to make a packet, leaving a little room for the expansion of steam. Grill over Indirect Medium heat until the cloves are soft, 30 to 45 minutes. Remove from the grill and allow to cool. Squeeze the garlic from the individual cloves into a small bowl. Add the remaining 3 tablespoons of olive oil and mash the garlic and oil together with a fork to form a paste. Trim the tenderloin of any excess fat and silver skin. Spread the paste on the tenderloin, rubbing it into the meat. In a small bowl combine the peppercorns, rosemary, salt, and pepper. Mix well and press into the paste on the top and sides of the tenderloin. Allow the tenderloin to stand at room temperature for 20 to 30 minutes before grilling. Grill over Indirect Medium heat until the internal temperature reaches 135°F for medium rare, 30 to 40 minutes. Remove from the grill and allow to rest for 5 to 10 minutes. The temperature will rise 5°F to 10°F during this time. Cut into 3/4- to 1-inch slices and serve warm. It’s that time of the year where Christmas lights start going up and families plan their Thanksgiving feasts. 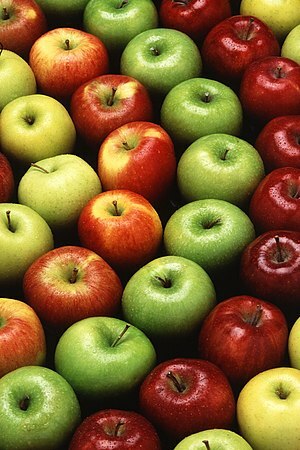 A big part of the holidays are apples, more specifically apple pie.. YUM. 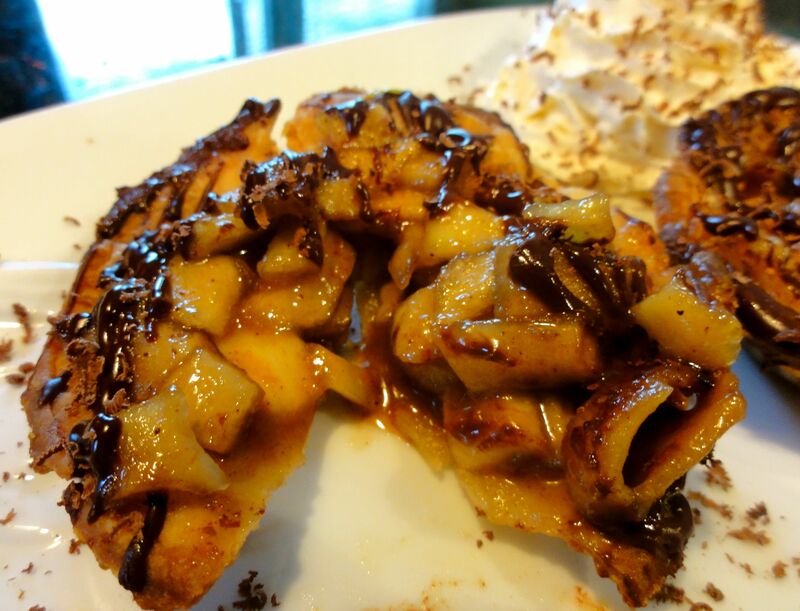 There’s nothing that can be wrong with a hot, fresh, flaky and juicy apple pie. And what’s better than just a slice- a tart! 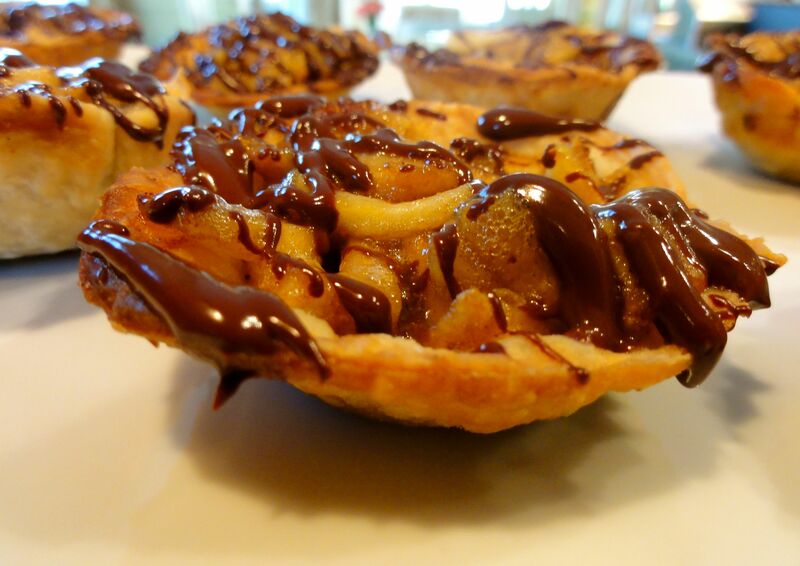 Just as flaky and yummy but smaller and with CHOCOLATE. Plus at the Thanksgiving table theres GOING to be that family member(s) that doesn’t want to eat too much dessert, or a big slice or they’re watching their weight. So this is the PERFECT addition to your dessert spread! 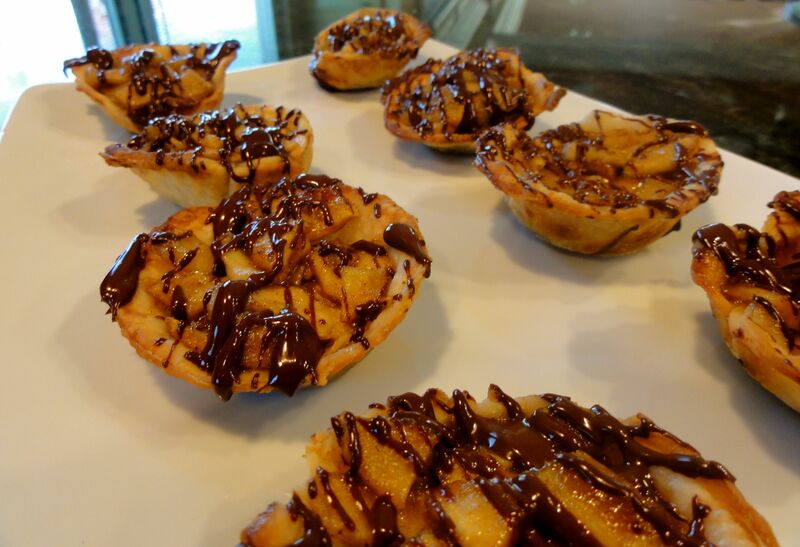 Petite decadent pastry shells filled with moist apples, brown sugar, spices and zest topped with lucisious chocolate and the only things left to complete the deal is your hand and mouth! I swear by Williams & Sonoma Basic Pastry Dough recipe because it’s easy, fast and super tasty. I just tweek it a bit of course! OF COURSE I used my AMAZING Babycakes Machine and the tarts they came out so cute and petite! 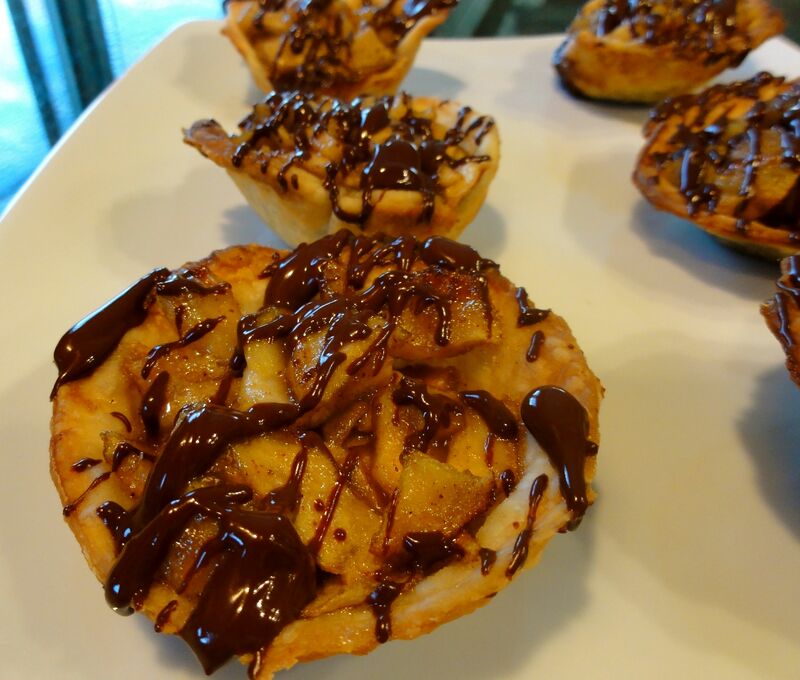 However, these can be done in regular mini-muffin tin pans. 1. In a food processor add the flour, salt and sugar and pulse until blended. Add the cubed butter and pulse until the butter chunks are small pea sized. While pulsing, slowly dribble in the cold water. Add enough water until the dough has turned into a rough mass. 2. Place dough mixture on a floured counter and form into a 1-2 inch thick disk. Wrap with plastic and place in the fridge for AT LEAST 2 hours. 1. In a bowl mixture together all the ingredients listed above. Place aside. **If using a conventional oven, preheat to about 375. Spray the muffin tins. 1. After 2+ hours, remove the dough from the fridge onto a floured surface. Using a rolling pin, roll out into a thin pastry sheet (just before its thin enough to see through! Using a round 3 inch cookie cutter or a knife, cut out circles. Regardless of whether you’re using the babycakes machine or regular muffin tins, make sure to SPRAY them. 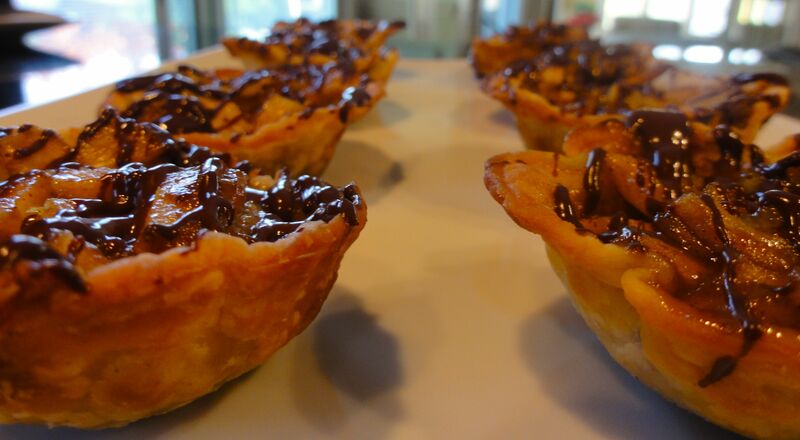 Line each cup with the circles of dough pressing lightly into the cup to create a tart shell. 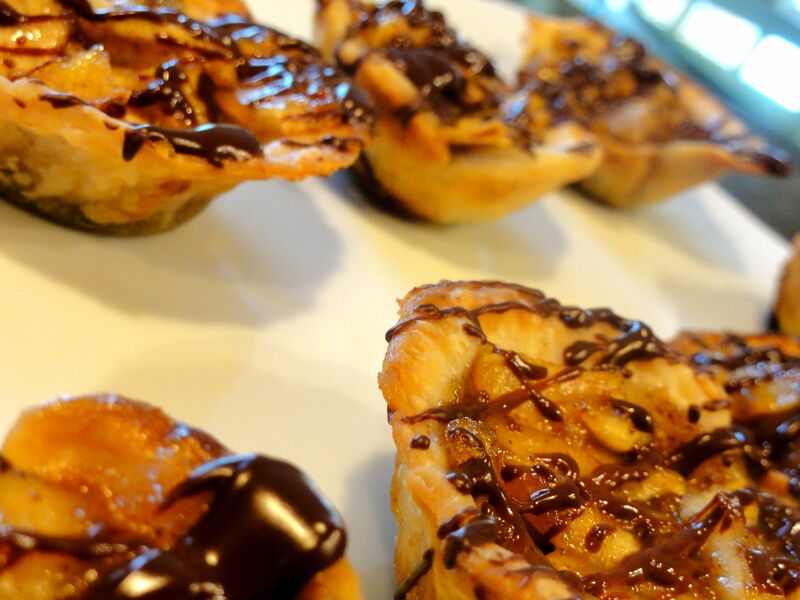 If using babycakes machine, use the pie tart tool to press into the cups. Bake for about 5 minutes or until the shells are slightly cooked and slightly golden. 2. Remove the tins from the oven/ open the babycakes machine lid. Add enough apple filling to come over the top of the tin a little. 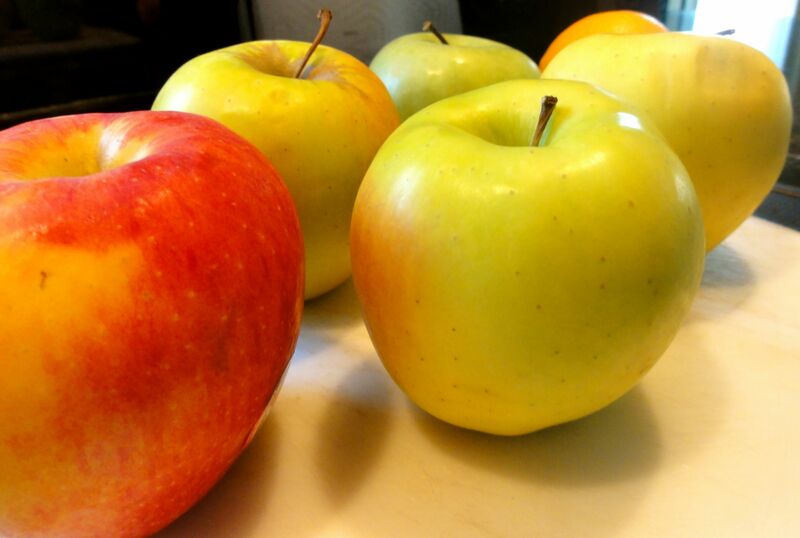 Bake for another 8-10 minutes, or until apples are soft and crust is golden brown and crispy. Remove each tart from the tin/babycakes machine and let cool on a rack. 1. Heat chocolate in a microwave safe bowl for about 45 second. Pour in milk and 1 tbsp of water. Heat for another 30-40 second. Stir and if not melted, add another tbsp hot water and heat for another 30 second. Stir until smooth and glistening. 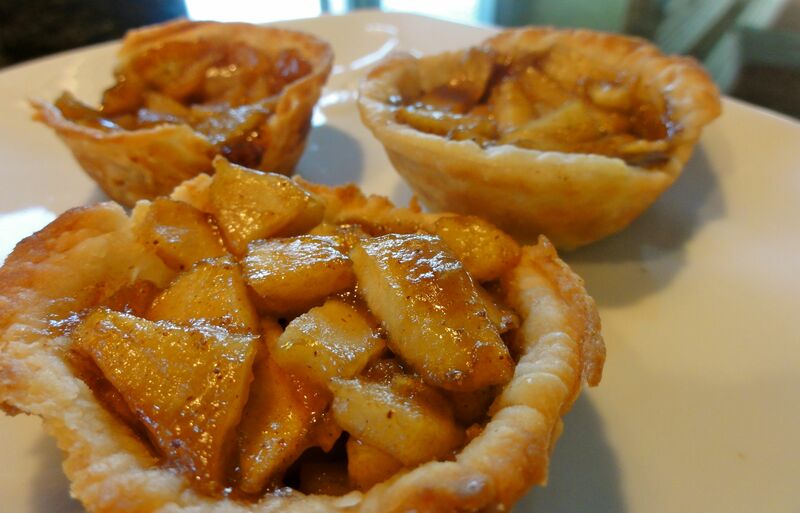 You want the consistency to be a bit thin so you can drizzle the tarts. 2. 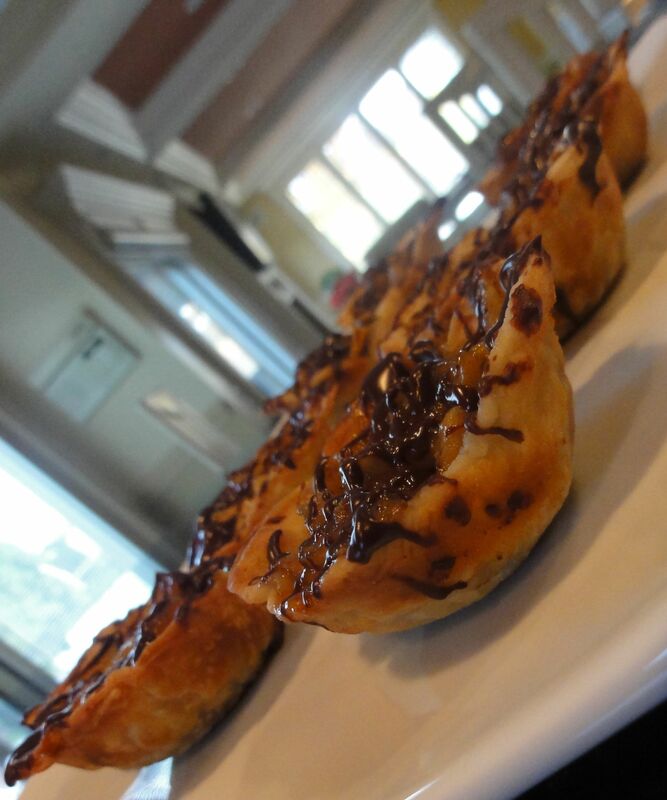 Using a small whisk or spoon (I used a spoon) drizzle the tarts in a fast back and forth motion until tops are covered. 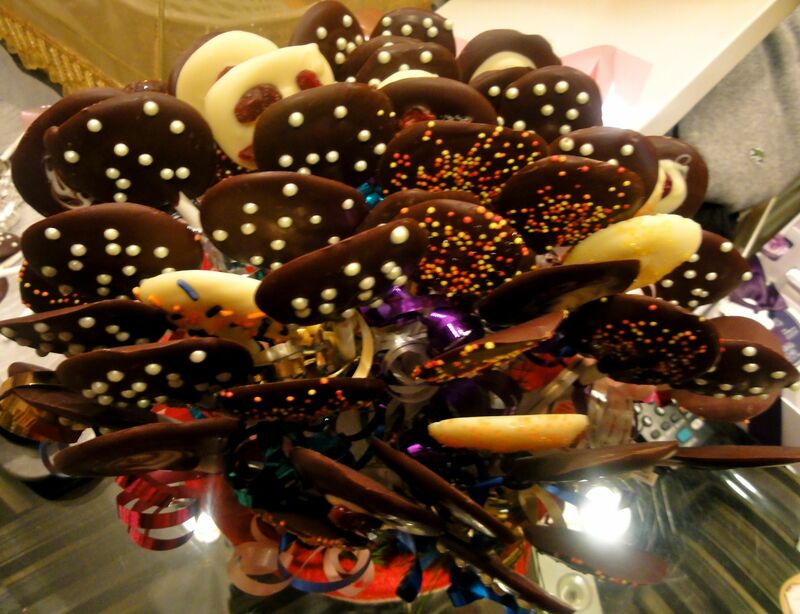 Cool until chocolate is hardened. 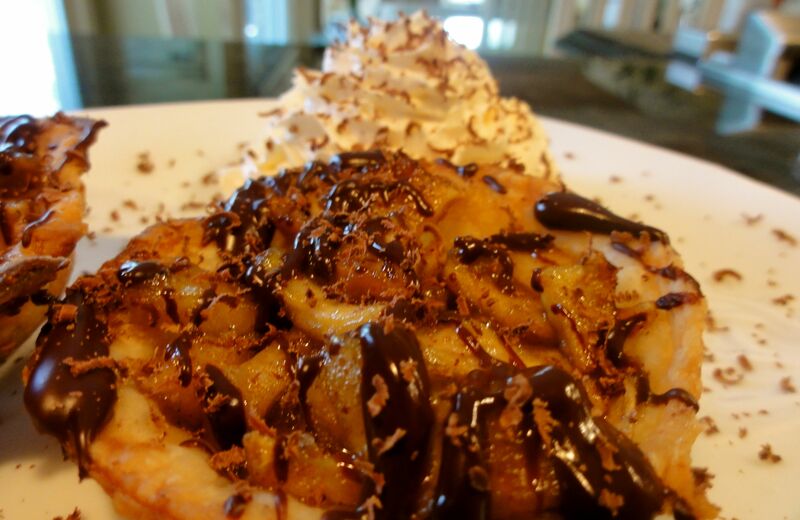 Wanna See More Recipes Using the Babycakes Machine? 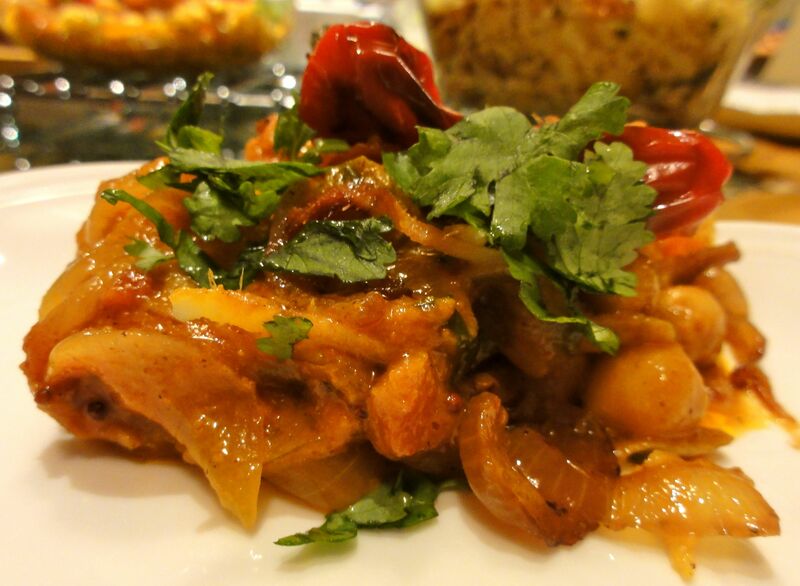 Chole is a classic Indian dish. 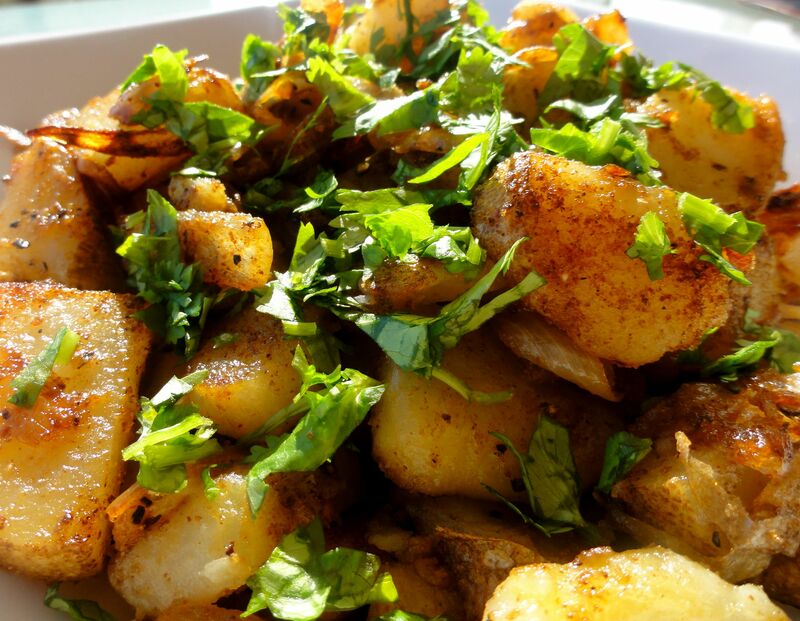 However, not many people know that chole is made differently across different parts of India. For example there’s Gujurati style chole, which is served in a traditional ‘thali,’ South Indian Chole, which uses curry leaves, and Maharashtrian Chole, which is served in parts of Mumbai. Traditionally, Chole is made with Ghee (India clarified butter) and oil/butter, but that’s not very healthy or necessary to obtain an authentic taste. Plus the addition of reduced-fat sour cream adds a rich creamy taste without the excessive amount of fat! 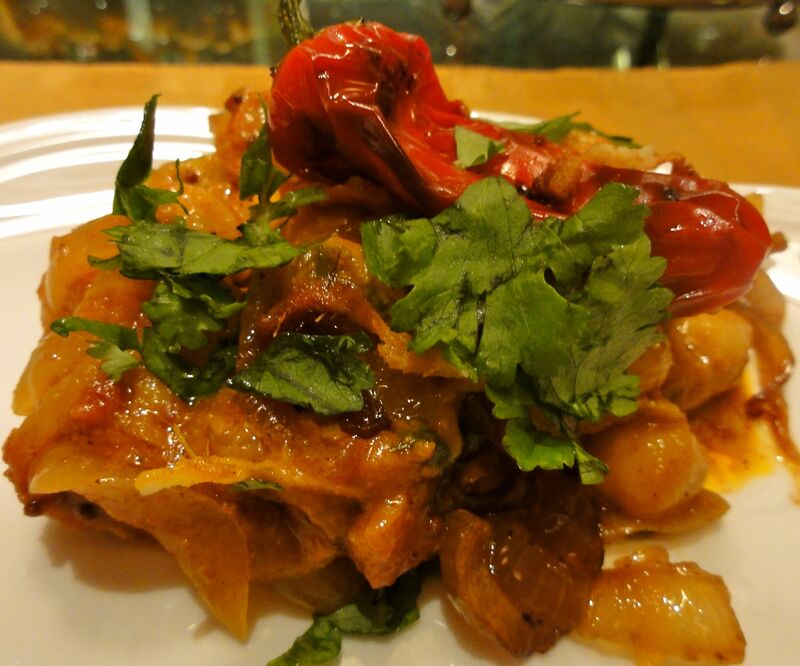 We usually make 2 types of Chole at home- a creamy version and a more sauteed version. This is the Creamy Chole recipe, which I prefer, because it tastes so heavenly and you feel like you’re eating something that took hours to cook, but its so easy, you can make it every week! 1. In the skillet over medium-high heat spray with PAM and pour oil. Add mustard seeds, and cook until they are fragrant and “pop” about 30 seconds to a minute. Add onions, garlic and ginger and saute for about 2-3 minutes until slightly brown/golden. Add the diced tomatoes and saute for a few more minutes. Add garam masala, turmeric, chili powder. Once the onions are caramelized and the tomatoes soft, add the chickpeas and combine with the onion-tomatoe mixture until well coated. 2. After about 2-3 minutes add the sour cream and cook until everything is well combined. Add salt and pepper, taste. Cook until chickpeas are soft and flavored well. Make sure to taste a few times for salt and masala. If it’s too thick, add a few tbsp of water (consistency should be creamy, gravy-like, not too thick). 3. Once the gravy has thickened, chickpeas are cooked well and you’ve tasted for salt/masala, remove from heat and mix in 3/4 of the reserved chopped cilantro. Clean the pan and set back on medium-high heat. Spray with PAM and the thick red onion slices and small sweet peppers. 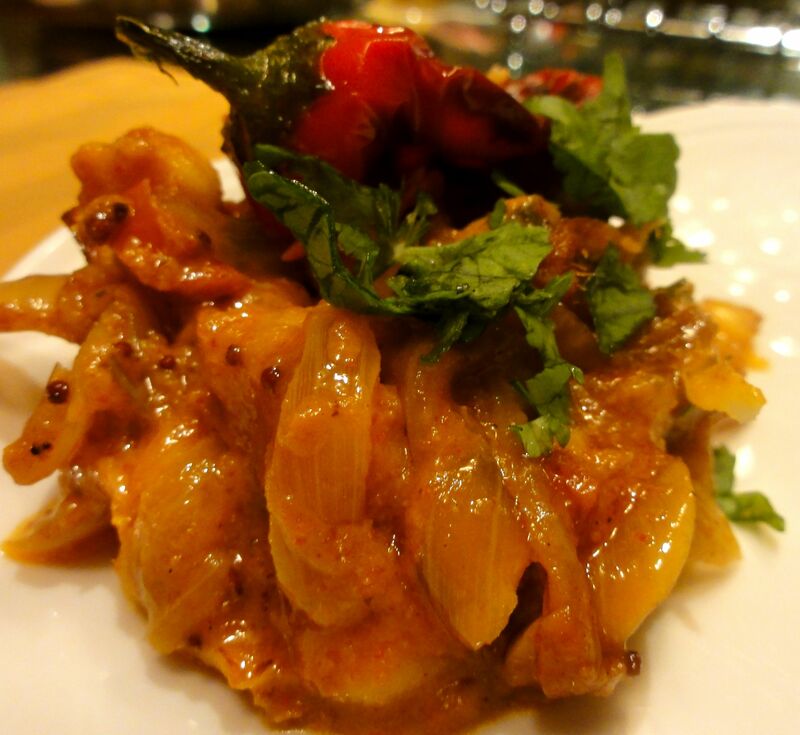 Saute on medium-high heat until onions are charred and soft (without breaking circular shape). 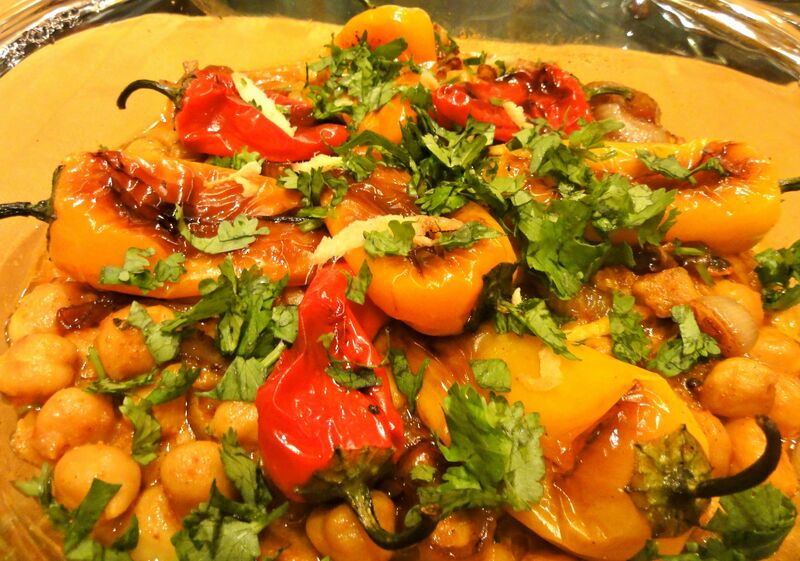 Place chole in a nice serving dish and top with remaining cilantro, onions and peppers. 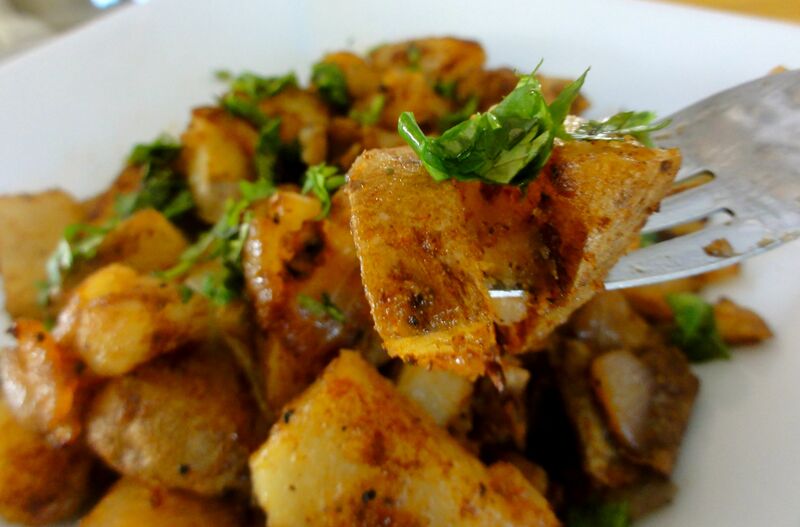 Serve with Basmati rice, chapati or naan. 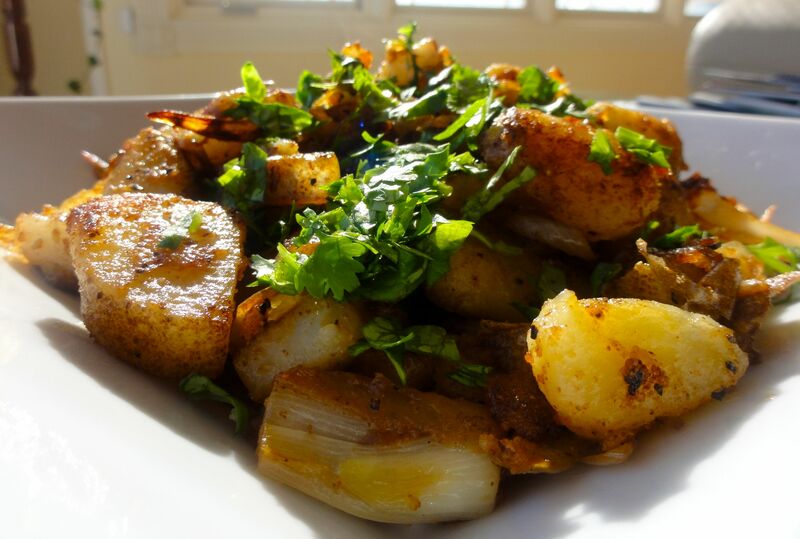 Want to see more recipes using Garama Masala? Do you like peppermint bark? 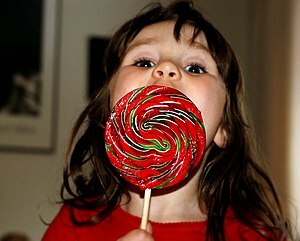 Do you like lollipops? 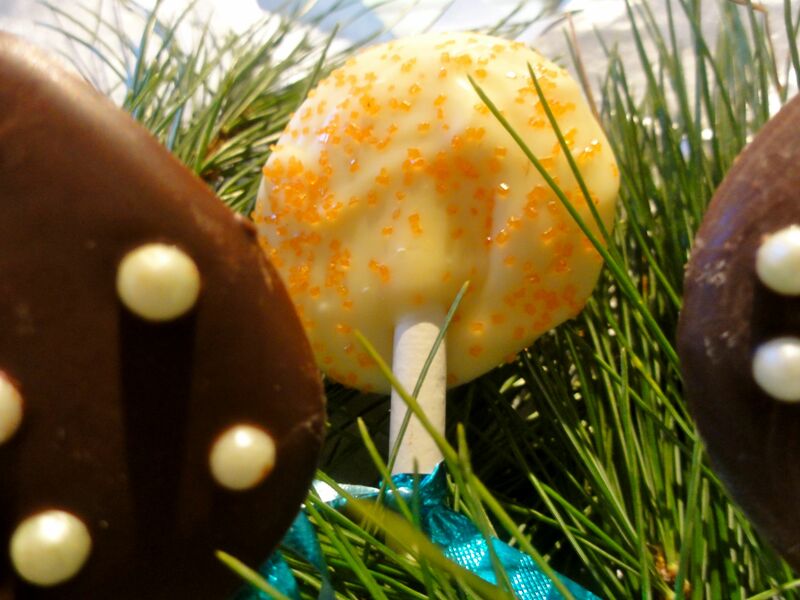 Then you’re going to love these sweet treats- Peppermint Bark Lollipops. So easy to make. Cheap, cute and did I mention they’re a show stopper. Yes. SHOW stopper. 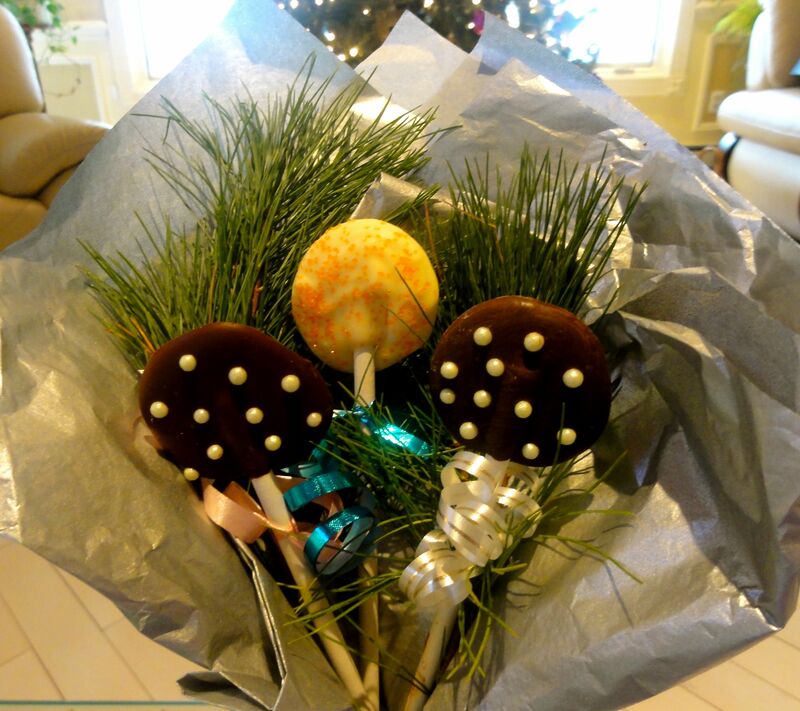 I made about 60 lollipops for a Christmas Eve party and everyone was talking about them! 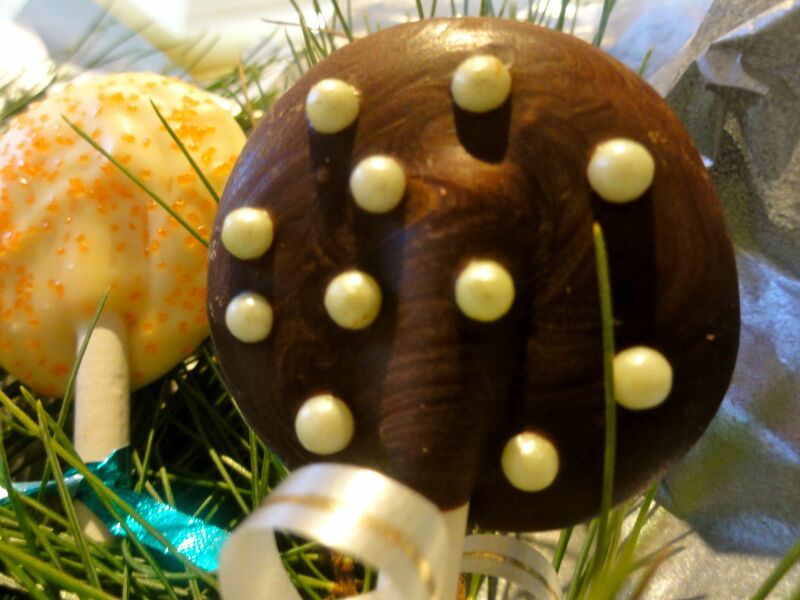 It’s just the right amount of chocolate and peppermint and they’re great for big parties, to hold and walk around and still look pretty . 1. 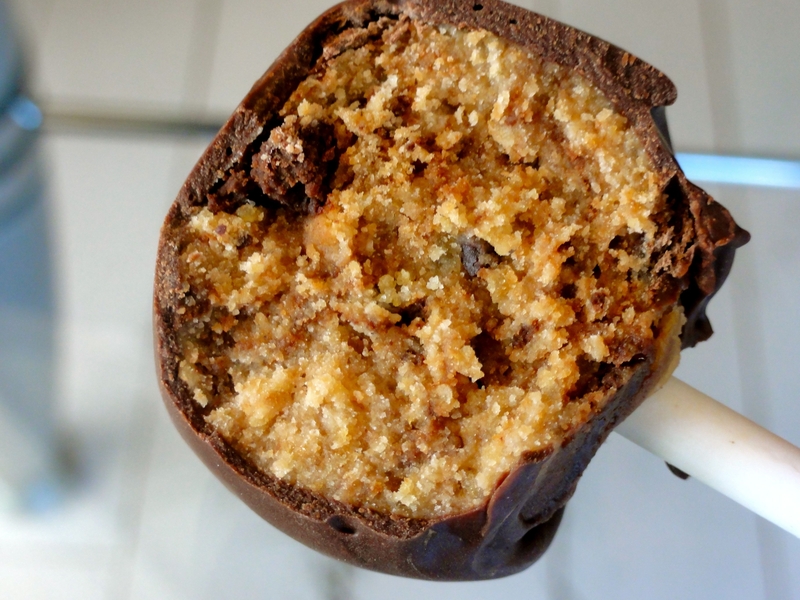 Break up the dark and 1 bar of the semisweet chocolate and place into a glass bowl. Microwave for 35 seconds. Remove, stir with a spatula. Microwave for another 35 seconds. Remove and stir. Microwave for another 35 seconds if chocolate is not melted. When it’s just melted add the remaining semisweet chocolate bar and stir until everything is smooth and melted. Add 1-1 1/2 tbsp peppermint extract and stir. 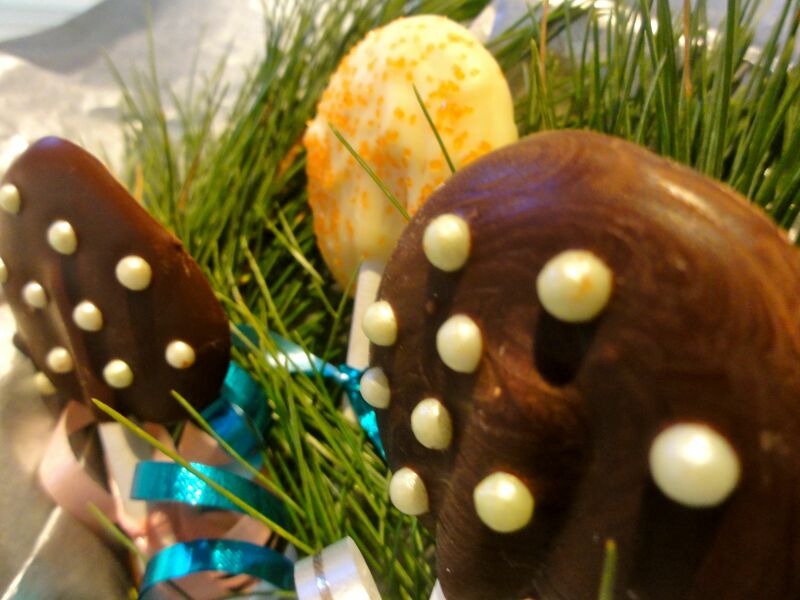 Melt the white chocolate in a separate bowl and stir in 1 tbsp peppermint extract. 2. On a cookie sheet (I used 3 of them) line with 1-2 sheets of parchment paper. Using a tbsp pour 1 tbsp of dark chocolate into a circle on the cookie sheet. 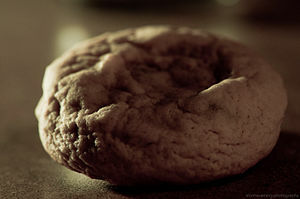 Take the cookie stick and swirl into the bottom of the circle. 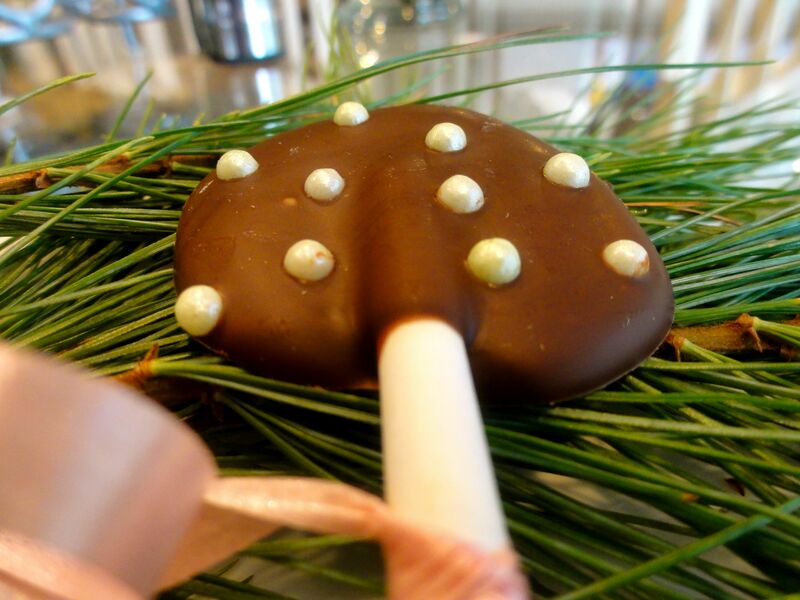 Decorate with cranberries/pearls/sprinkles or a drop of white chocolate in the center and swirl with a toothpick. Repeat until chocolate is finished. 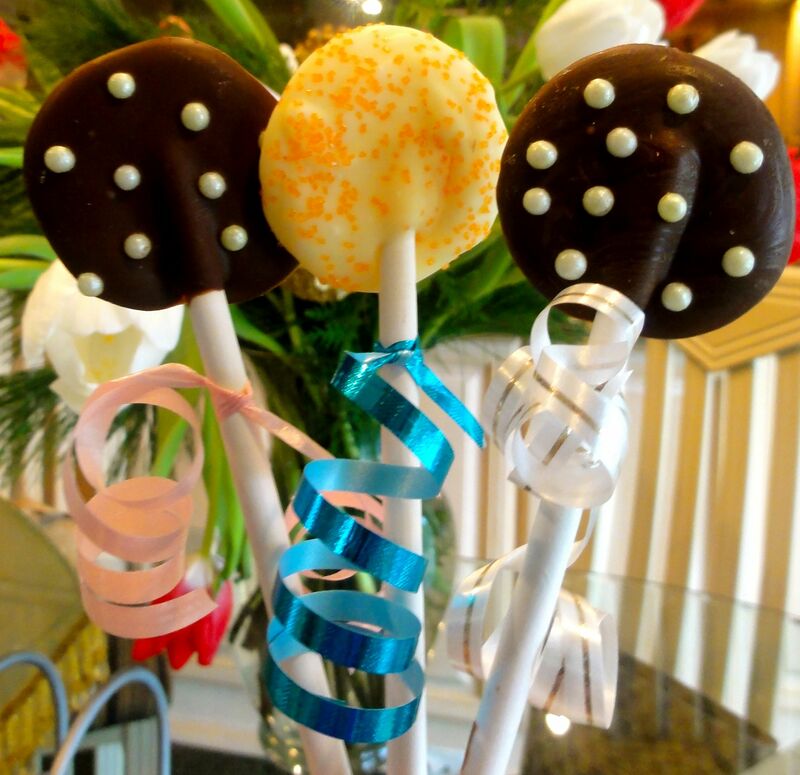 I made a few white chocolate lollipops. Place in the fridge until hard and cool. 3. To make the bouquet: Cut small pieces of ribbon and tie around each stick. Using a scissor curl ends. 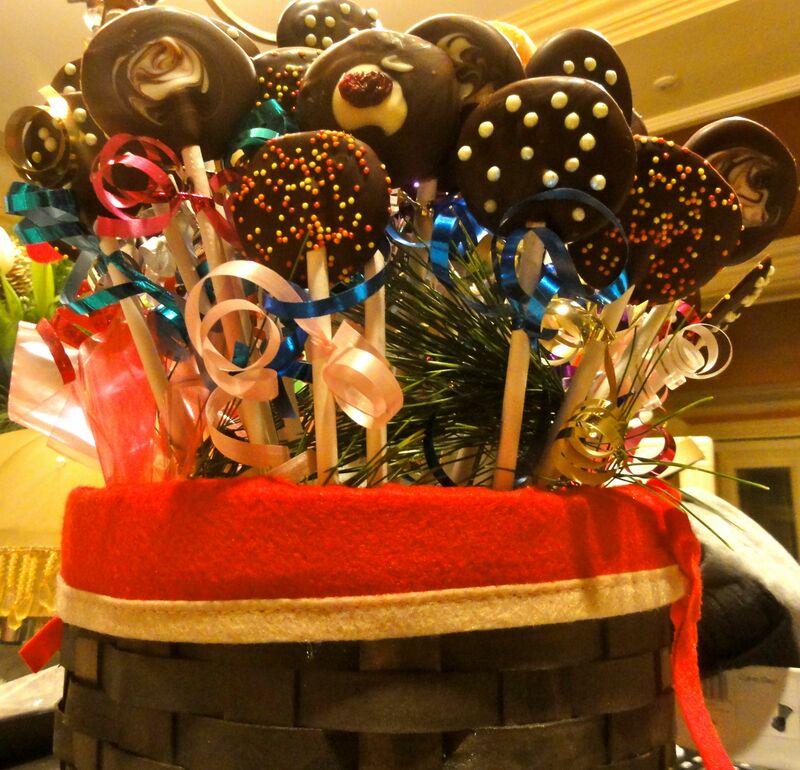 Place lollipops in the freezer an hour or 2 before placing in the basket before your party. Place styrofoam ball in the basket and if using pine tree leaves, cover the foam with the leaves. 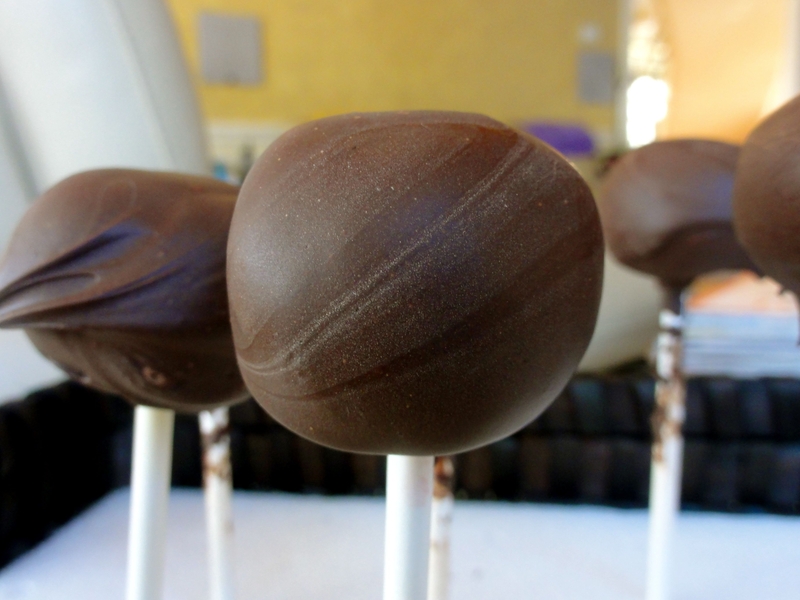 Once the chocolate lollipops are hard and slightly frozen, stick them into the styrofoam until the whole thing is covered like a bouquet. Like Chocolate? Like Dessert? Check these out! I like diner food. I think NYC has the best diner food- yes, I am biased. But, seriously take me to a a diner in another state that is better than a NYC diner. Yah, it probably doesn’t exist, hehe. In any case, we were in the mood for some diner-style food, and didn’t really want to drive to the local diner (which is 5 minutes away, I know laziness at its peak!). 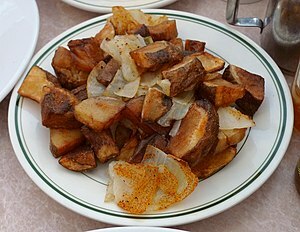 So I decided to make some homefries- crispy on one side, salty, and loaded with onions. 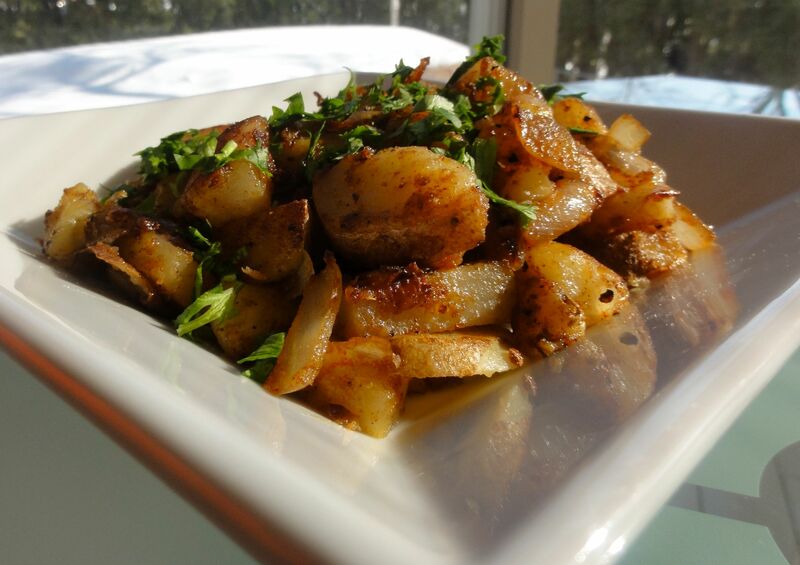 Of course, I added a little spice, but it was pretty much pimped-out diner-style potatoes. Did I mention they’re healthy, vegetarian and vegan? Yup! 1. Wrap each potato in plastic wrap and microwave for about 4 minutes each until 4 tender. Set aside to cool. Dice into medium-sized cubes (same size as onions preferably). 2. Meanwhile in a large non-stick skillet spray with PAM and pour oil and set over medium flame. Add onions and saute for 2 minutes. Add spices and saute until fragrant and onions are soft- about 5-7 minutes. 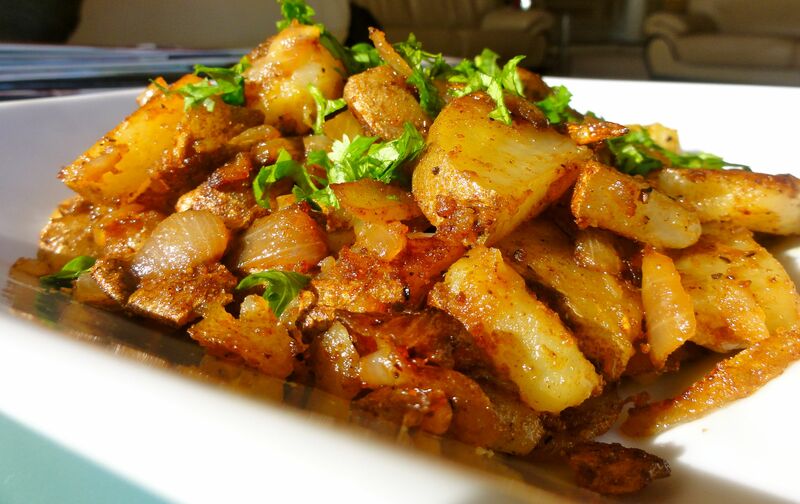 Add potatoes and combine with spices and onions. Saute for about 8 minutes, with 5 minutes covered. This is when the potatoes will get crispy on one side- increase/decrease flame accordingly. I had it on medium-high flame. Uncover, taste for salt and spices. Place in serving dish and top with chopped cilantro (if desired). 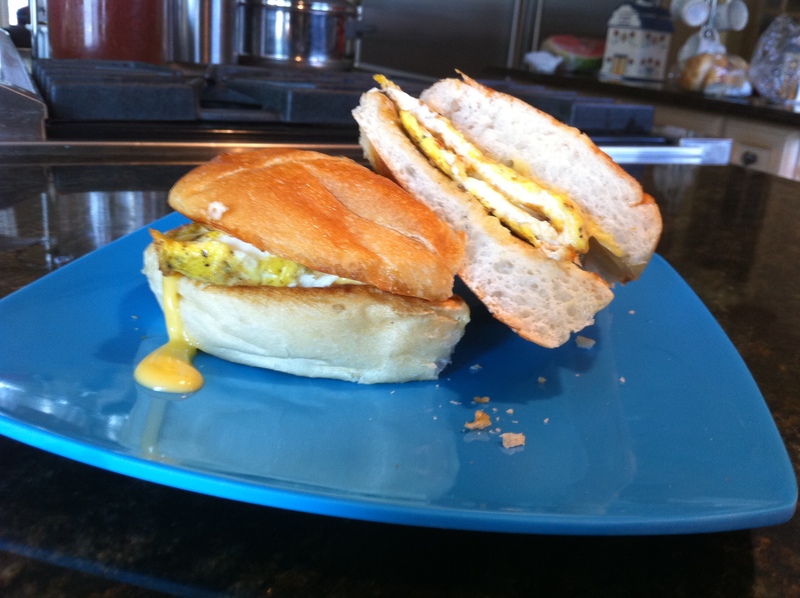 Serve with favorite breakfast meal! 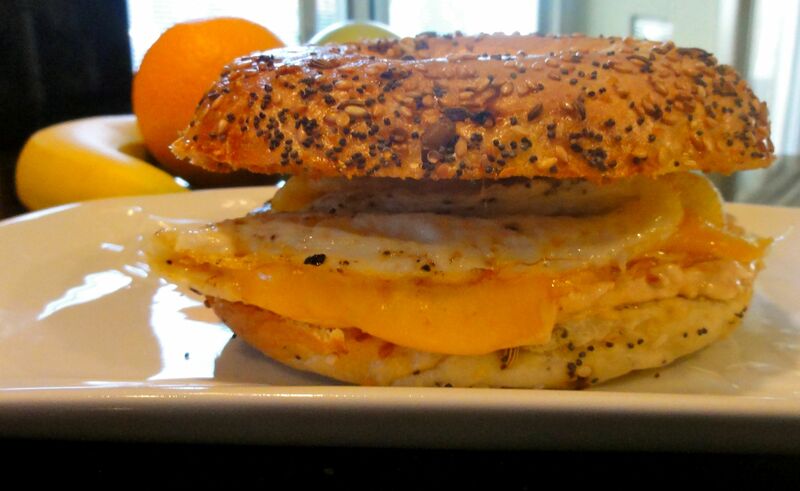 Want more yummy Breakfast Options? 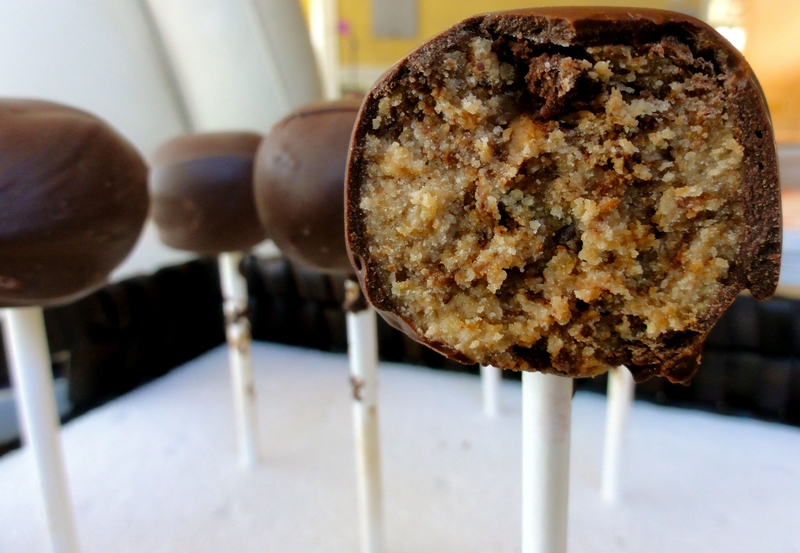 Don’t need much of an introduction for these yummy pops, besides mentioning that they’re CRAZY easy to make and I used a slightly ghetto cake-pop method. What! 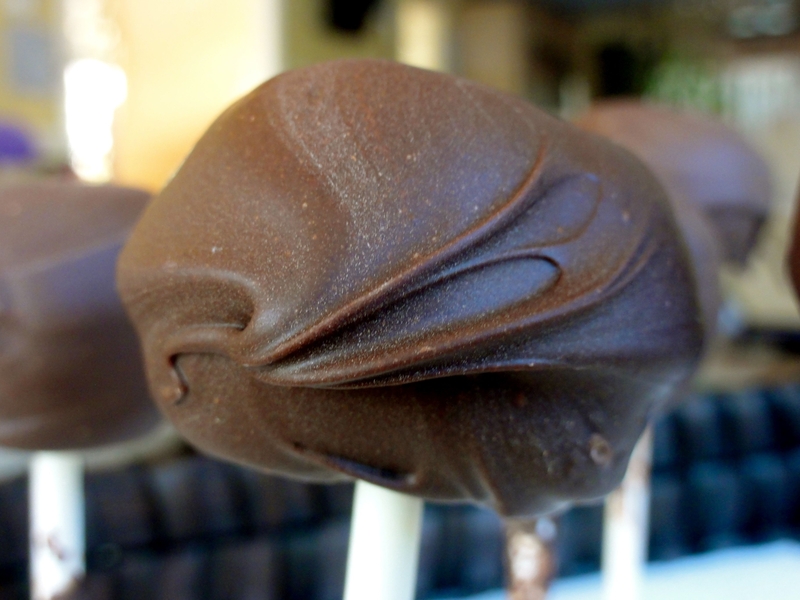 I wanted cake pops fast and I was tired! Jeez, a chef can take some shortcuts! Anyways, I used Betty Crocker chocolate Chip Cookie mix and instead of using regular butter, I used Land-O-Lakes 50% less fat butter spread. 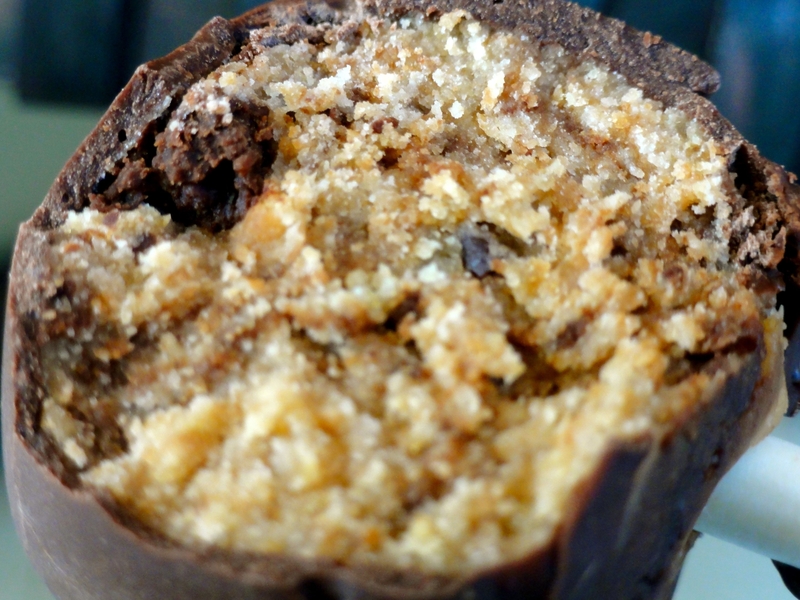 The result was fluffy cake-like chocolate-chip goodness. Why you may ask did I use buttery spread? Well, since I’m just a little obsessed with being healthy, I decided to cut the fat and calories a bit by using the 50% less fat spread! It was amazing! 1. Preheat the oven 350 degrees. Spray a large cookie sheet with PAM. In a large bowl add cookie mix, egg and butter. Mix all together until incorporated well and forms into cookie-dough texture. Drop about 2 tbsp rounds onto the cookie sheet. Bake for about 12-15 minutes, until soft, and medium-brown on the bottom. Remove and cool. 2. To make the frosting, in a large bowl add the butter and beat with a hand mixer until creamy. With the mixer on low add in the sifted confectioner’s sugar, increasing the speed as you add more sugar. After you’ve added all the sugar, beat in about 2-3 tbsp milk and vanilla extract. Frosting should be thick and cream (as if you were to frost a cupcake). Pour more/less milk to achieve that consistency.